If you are putting together a special celebration and struggling with organising the food, come and speak to us at Hog Roast Twickenham. Our experienced team can put together a feast that will impress you and your guests. 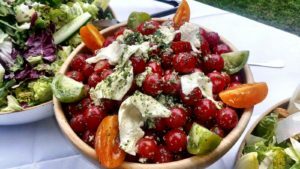 We will take all of the strain out of planning the food for your special event. Over the past ten years, we have catered for all kinds of events and parties. Large corporations and SMEs have hired us to cater for their corporate events, but we have also catered for hundreds of weddings and other family occasions. 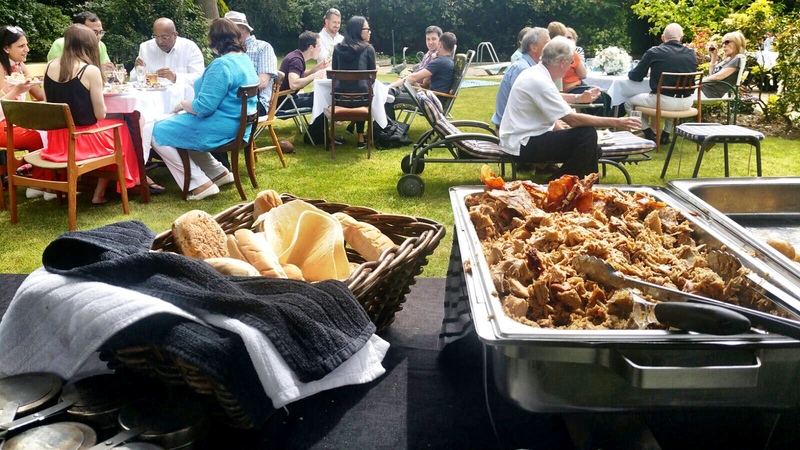 If you need a hog roast in Twickenham or the surrounding area, we can help and provide you with fantastic food for your guests. 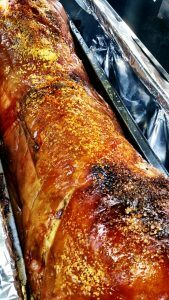 If you’re bored of attending parties where the same bland food is always served then Hog Roast Twickenham is perfect for you! Swap those cold sausage rolls and soggy tuna sandwiches for a hot succulent hog roast roll with juicy stuffing, crispy crackling and your favourite sauce to top it all off. 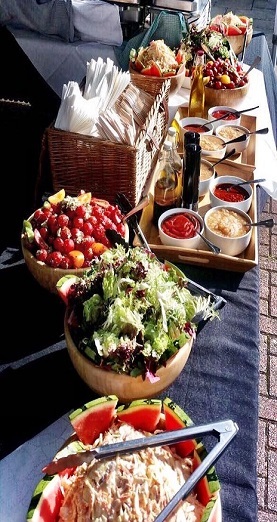 When you hire the Hog Roast Twickenham team, you are hiring professional chefs with years of experience catering for parties and special events. As well as providing succulent, tasty roasted meats for your event, we can also provide a range of party platters. Ordering a full menu from us ensures that you do not have the worry and stress associated with hiring and dealing with multiple catering firms. Our onsite catering team will prepare all of the dishes at your party or event venue, ensuring that everything is fresh and tasty. We supply the buffet table, high-end disposable plates and cutlery, which leaves you plenty of time to organise the guest seating and other important things like entertainment. Our menus begin at a simple hog roast, made by professional machines all the way to a formal sit down meal. We cater for any type of event, whether it be a wedding, christening, child’s birthday or even a small family gathering. Our reliability and positivity does not go unnoticed. We care about our customers and the community. We put effort into every event by arriving early and ensuring the meals are up to the highest standard. Our reviews along with a brilliant team give us the reputation we hold so proudly. All our food is locally sourced and cooked fresh on the day. Our team even tidy away all our work station after and leave as if we were never there. If you want us to we can even provide you with a good quality hog roast machine for you to use to cook your own hog or other roasted meats. We will bring the machine to you and, if it is easier for you, we will provide the hog for you to cook. 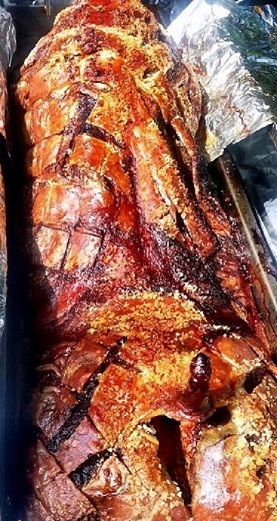 A hog roast is a very good way to feed a large group of event attendees or partygoers. Contact us and hire us to provide fantastic food for your corporate event or private party.